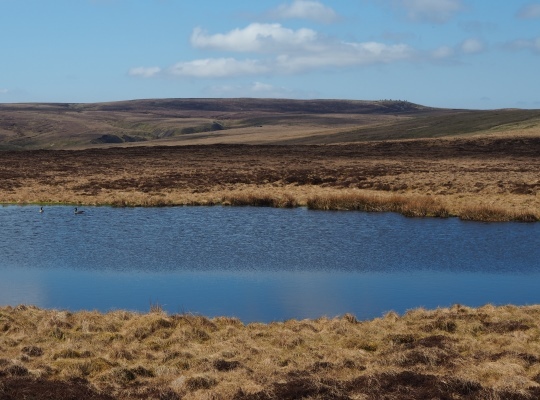 Quite possibly the remotest tarn in the Yorkshire Dales, Brownber Tarn is situated a short distance north of the national park boundary below Brownber Edge. 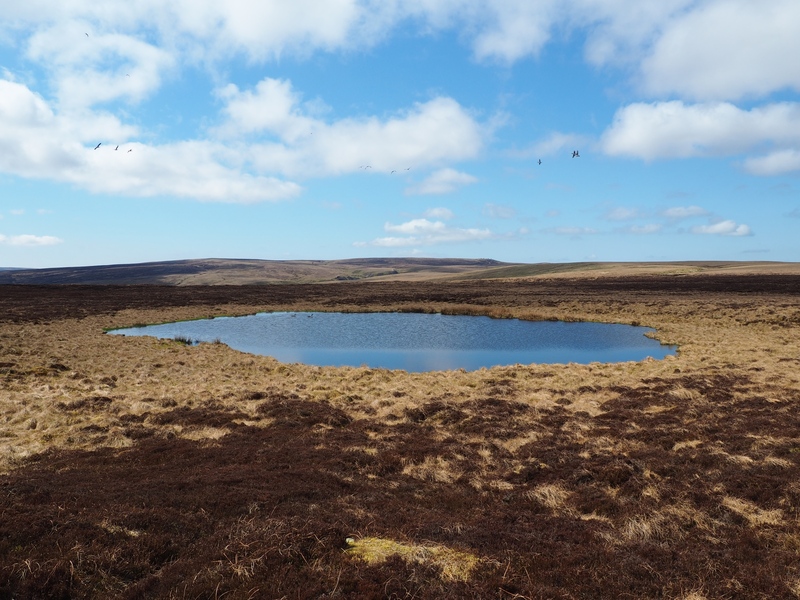 I visited the tarn on my way to Nine Standards Rigg on a superb spring walk in April 2015. I followed the track called Kettlepot Road as far as the shooting house in Kettlepot Gill. From there it was a fairly easy walk across pathless moorland to the tarn. 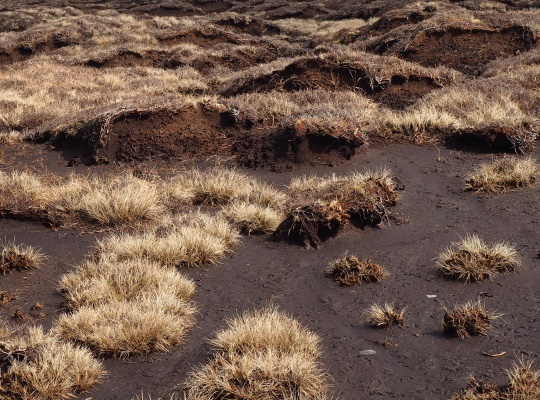 Be warned though that the terrain to the west of the tarn crossing Tarn Haggs and Backgutter Head is definitely more challenging! Despite its fairly small size Brownber Tarn still managed to play host on my visit to two different types of geese, a pair of mallards and several gulls. No doubt its popularity with birds is due to the lack of human visitors to the tarn. I have to say that I found Brownber Tarn a delightful spot and was particularly memorable for the superb views towards Nine Standards Rigg where the standards themselves could clearly be seen on the skyline.